As the result of a war with the Doge of Venice Pietro Gradeningo over control of the city of Ferrara in northern Italy, Pope Clement V punished Venice by excommunicating the entire city on March 27, 1309. Clement’s decree not only denied all Venetians access to the sacraments, but declared them entirely outside of the Catholic Church. This may not sound like such a big deal, but in the 14th century it meant that all legal agreements entered into with a Venetian were now rendered null and void. Venetians abroad could also be apprehended and legally sold as slaves, which was usually legal only with non-Christians at the time. This seemingly harsh move by Clement was not all that unusual. During those times, ecclesiastical punishment was seen as an effective way to encourage a city’s inhabitants to put pressure on their leaders to accept papal demands. 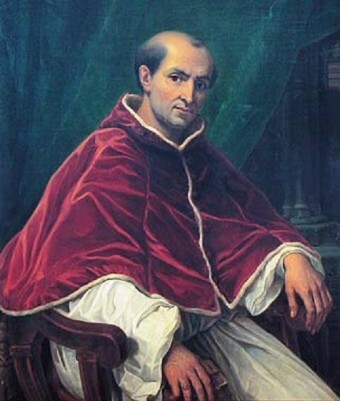 This time, however, Doge Pietro Gradeningo still refused to get on board with papal control of Ferrara, so a crusade against Venice was declared a few months later. Alarmed by the anger of the pope and the threat posed by the surrounding city-states all too eager to take advantage of the crusade, the Venetians attempted to overthrow their Doge. Their efforts failed, and led to the formation of the Council of Ten, which was intended to be a temporary government for Venice, but became permanent with the passage of time. When the excommunicated Doge Pietro Gradeningo died, he was not allowed a Christian funeral and was buried in an unmarked grave. The new Venetian leadership proved more wiling to accept the pope’s authority over Ferrara, and the excommunication penalty was finally lifted from the city on 17 February 1313.